Landon Court is our ‘best kept secret’ - walk through the archway to a beautiful garden and attractive flats built in the late ’70s. Flats are Landon Court are bright and attractive. The Court is just a short journey from the town centre, but is well serviced by buses and has a small amount of off-road parking. Accomodation is light and airy, a mixture of one or two bedroom, or studio flats. The scheme has two communal lounges and other facilities. Residents have forged excellent links with local school Harding House, whose pupils hold regular social activities at Landon Court while working towards their Duke of Edingburgh Award. 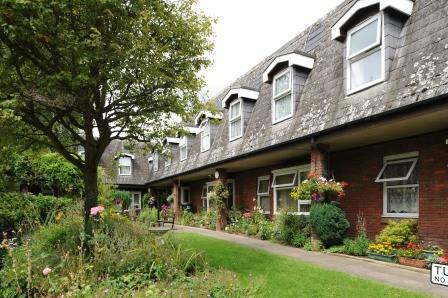 Comprises 28 properties: 2 studios, 18 one bedroom flats, and three adapted homes for disabled people (one and two bed).